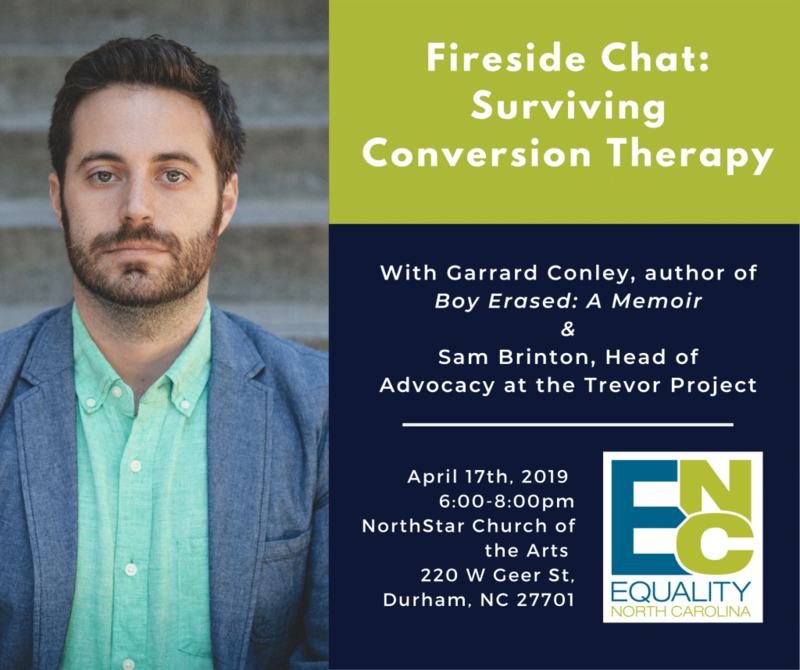 Worth your time today: an interesting new poll from Elon University, conducted in partnership with The Raleigh News & Observer and The Durham Herald-Sun. The poll asked 1,489 North Carolina adults about 37 various risks from climate change and crime to unemployment and drug addiction, gauging how unsafe each made them feel. Topping the risks that made respondents feel “very unsafe” were shootings in public places. Younger respondents were significantly more likely to feel “very unsafe” when asked about shootings in public places, reflecting concern over mass shootings at schools and a generational gap in preference for stronger gun laws. Half of respondents under 30 said they feel “very unsafe” when it comes to public shootings. That’s 13 percentage points higher than the average and 21 percentage points higher than residents 65 years old or older. Women and black respondents were also more likely to say public shootings made them feel unsafe when compared to white men. Forty-five percent of women said public shootings made them feel “very unsafe” compared to 29 percent of men. Fifty-two percent of black respondents said they feel “very unsafe” compared to 31 percent of white respondents. Perhaps unsurprisingly, income level was also a major factor in how people responded. Respondents from households making less than $50,000 a year were more likely to feel unsafe than those from households over $50,000. Among the risks making lower income respondents feel most unsafe: unemployment, drug addiction and contaminated food and water. Those concerns were significantly less prevalent in higher income households. Twenty percent of respondents from households making less than $50,000 reported feeling “very unsafe” about unemployment. Only 12 percent of respondents from households making more than $50,000 said it made them feel very unsafe. 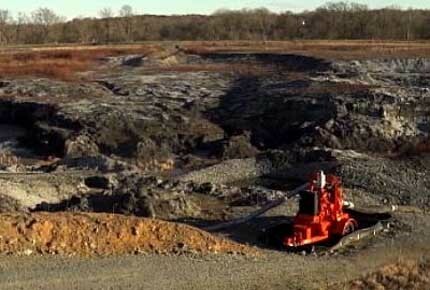 A full 41 percent of respondents said they felt either “very unsafe” or “somewhat unsafe” about the cost of living. Check out the full poll and information about methodology here. 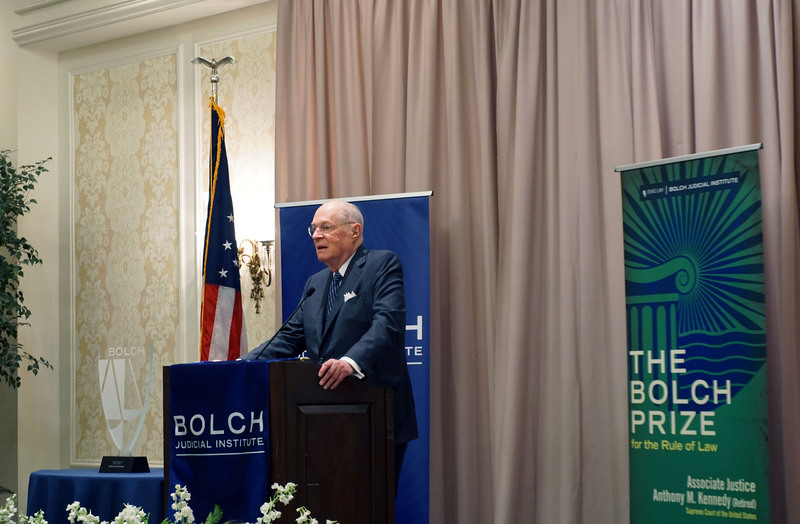 Retired U.S. Supreme Court Justice Anthony Kennedy was honored Thursday evening with the inaugural Bolch Prize for the rule of law by the Bolch Judicial Institute of Duke Law School. “You have embodied the ideals of fairness, human rights and the rule of law,” said Duke University President Vincent Price. 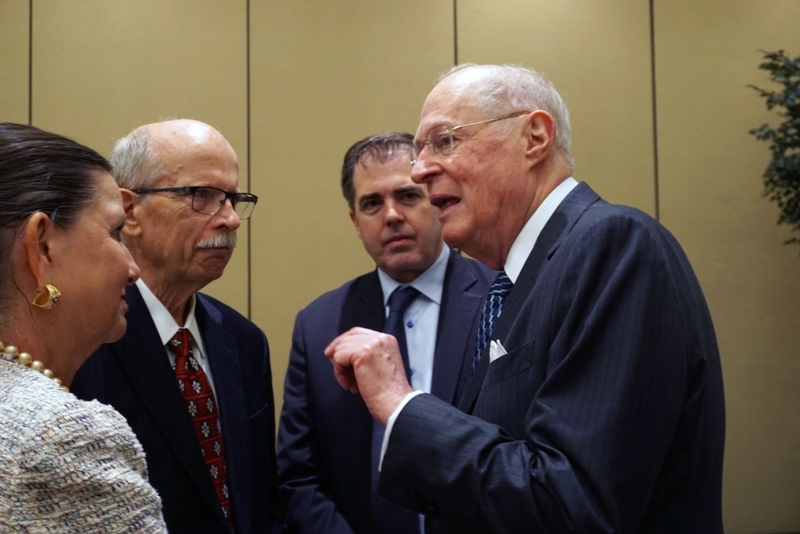 Judge Allyson K. Duncan, who serves on the U.S. Court of Appeals for the Fourth Circuit, praised the retired Justice’s international work and his sharing of best practices, critical work to preserving the rule of law, she said. 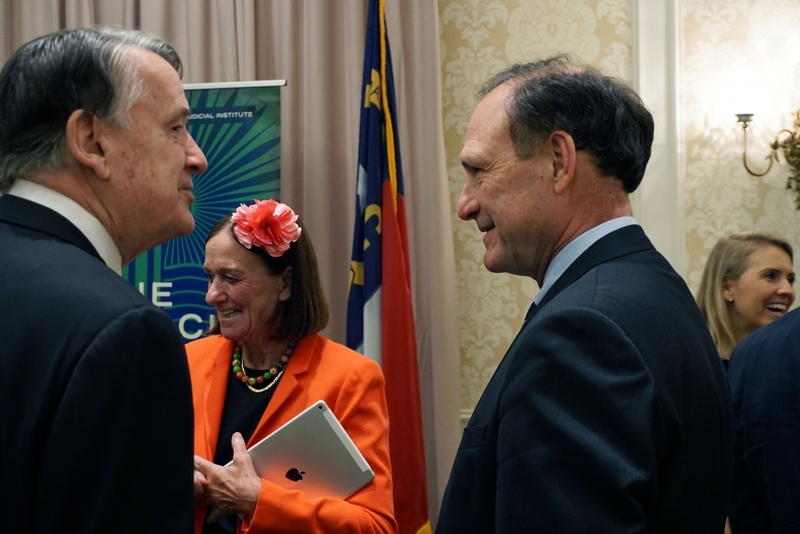 His former colleague, current U.S. Supreme Court Justice Samuel Alito highlighted his service and dedication to many, many cases — in his 30 years on the high court, he authored 266 opinions of the court and 544 in all; he sat on more than 2,400 cases, he said. Alito also said Kennedy was about the lesson of civility and was always dedicated to the perseverance of human humility and humanity. He also called attention to Kennedy’s dedication to always hearing both sides of every argument. Kennedy has served in numerous positions during his career, including a member of the California Army National Guard in 1961, the board of the Federal Judicial Center from 1987 to 1988, and two committees of the Judicial Conference of the United States: the Advisory Panel on Financial Disclosure Reports and Judicial Activities, subsequently renamed the Advisory Committee on Codes of Conduct, from 1979 to 1987, and the Committee on Pacific Territories from 1979 to 1990, which he chaired from 1982 to 1990. He was appointed to the United States Court of Appeals for the Ninth Circuit in 1975. President Ronald Reagan nominated him as an Associate Justice of the Supreme Court, and he took his seat February 18, 1988. Kennedy retired from the Supreme Court last summer. Kennedy is widely recognized for his devotion to the Constitution and his efforts to share the ideals of liberty and democracy with students and audiences around the world. He has spoken frequently of his commitment to the rule of law and the need for a judge to always be neutral and fair, according to his Bolch biography. At the ceremony Thursday honoring Kennedy, he spoke about how essential it is for the rule of law to be properly defined to defend freedom and human dignity. “The law comes from the people to the government, and that law must human dignity and human freedom, and the law must be accessible,” he said. The rule of law, Kennedy said, has been under attack and to fight it, the first thing people must develop again is a civil dialogue. Much like the glass award he received, the law can show new beauty and new dimensions when the light shines through, but it can also be broken. “Once the rule of law is broken, it requires great effort to fix it, and you’re not as sure it will be as beautiful the next time,” Kennedy said. 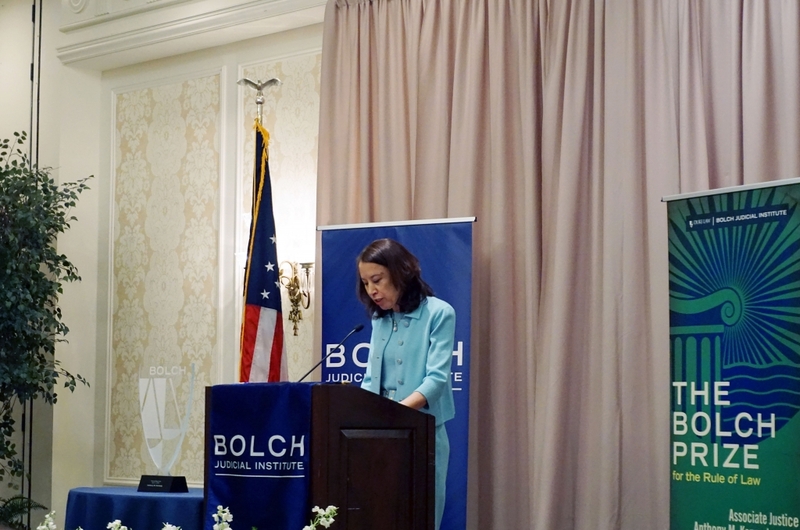 The Bolch Judicial Institute is dedicated to bettering the human condition through studying and promoting the rule of law, according to its website. Established at Duke Law School in 2018 with a $10 million gift from Carl Bolch Jr. and Susan Bass Bolch, the Institute develops research, scholarship, and educational programs in three focus areas: the rule of law; courts and judging; and law and technology. 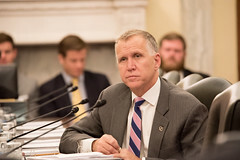 WASHINGTON — Sen. Thom Tillis lauded President Trump’s plan to establish a space force as a new branch of the military at a Senate hearing Thursday, despite skepticism from his colleagues on both sides of the aisle. The North Carolina Republican told top Trump administration military officials that he welcomed the idea, while other lawmakers warned that the new force would add an unnecessary layer of bureaucracy. 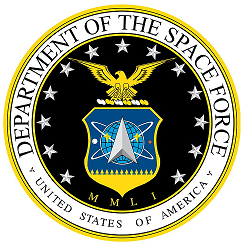 they urged lawmakers to support a new program within the Air Force that focuses exclusively on deterring threats in space. The military officials suggested that it was only a matter of time before the United States would need such a centralized force. King stressed that he wasn’t sure adding a new box in the Defense Department’s organizational structure would have the intended effect.